I posted a question on Facebook in July asking if anyone would be interested in an online small group for Diamond Butterfly and heard back from several of you that you're interested. The group will be started the week of September 9th. We walk through two books His Desire is for Me by Bob Emery and Diamond Butterfly Share Heal Sparkle Shine Fly. I'm also putting information together for those interested in going through the book together. 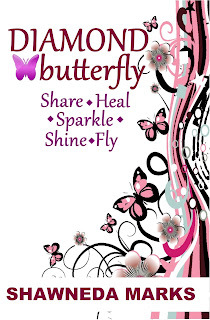 There is no charge for the curriculum to lead a Diamond Butterfly group. Please contact me here or via my FaceBook Page to let me know if you're interested in participating or leading a Diamond Butterfly small group. If you're interested in being part of the online small group as a participant please sign up no later than September 4th. Be sure you have the books listed above to be able to get the most out of the group experience.